One thing that happens often at our house, is our kids saying “Mommy, we should make keto _______________________ (fill in the blank of their favorite carb option meal). We had ultimately given up the tasty, pastry-like breakfast foods that we loved but were loaded with sugar. Gradually we have found great replacements that are so much better for us and taste just like the real deal. The last time I heard that mommy statement, it had me digging for something different than eggs and bacon for breakfast. 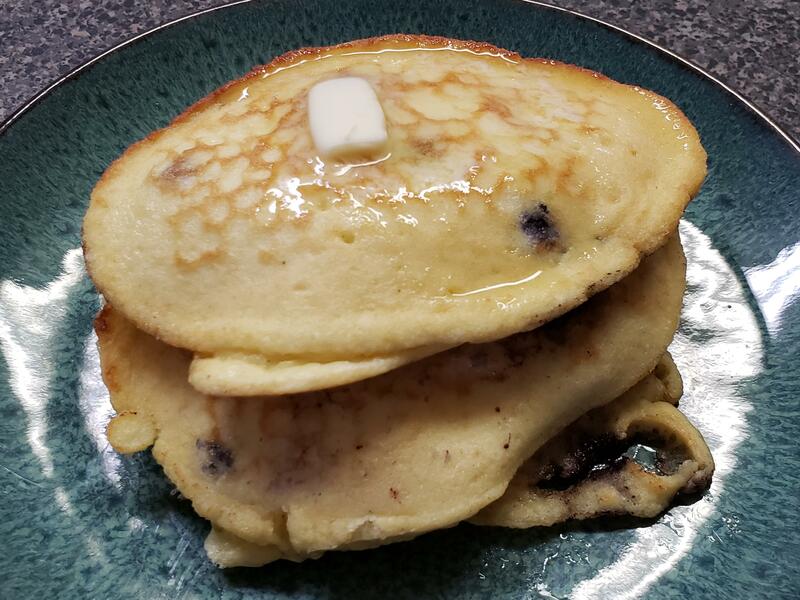 The kiddos said we should make keto pancakes and so it was, we went on the hunt to find a good recipe. We previously had purchased Paleo pancakes and the kids ate them, but to me, they were very eggy tasting and I would rather go without. I kept searching and tried a few recipes but this is one that I settled on until I come across something better. These are still not as good as our keto maple bacon waffle but they are quicker to make and will do in a pinch. Lakanto Maple Flavored Syrup (sweetened with monk fruit) – use KetoFam20 for 20% off your order. Check out another low carb pancake recipe we tried you may like.